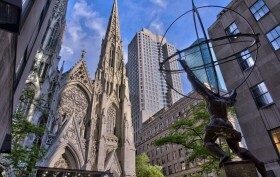 In March, the Archdiocese of New York reached a deal to sell 30,000 square feet of development rights from St. Patrick’s Cathedral to MRP Realty and Deutsche Bank, the owners of 405 Park Avenue in Midtown East. But, as Crain’s reported on Thursday, an exclusive men-only club has undercut the Archdiocese by offering the developers the deal at a lower price. The Brook, known for its billionaire clientele, will sell its air rights over its property at 111 East 54th Street to the owners of 405 Park Avenue. The owners plan to use the air rights to add four new floors to the 17-story property, a high-end office building. The City Planning Commission unanimously approved the long-awaited rezoning plan for Midtown East on Wednesday, which will rezone 78 blocks in hopes of modernizing the neighborhood. 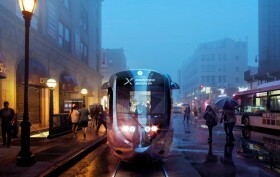 The plan, which was released last August, follows Mayor Bloomberg’s failed attempt to rezone the area in 2013. According to the Real Deal, the proposal would create 6.5 million square feet of new office space over the next twenty years. This would potentially encourage taller and more modern office towers, attracting more commercial and corporate tenants. 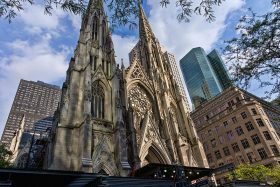 The de Blasio administration pulled the plug Monday on proposed legislation that would give the city a 20 percent cut of any air rights sales in midtown Manhattan’s Theater District, according to Crain’s. The reversal followed disputes with City Council members over a key element–a floor price for the sales. The proposal had been part of a long effort to get theater owners to up the amount they contribute to a fund used for venue maintenance and support for smaller theaters. There is now speculation as to whether the move could cast a shadow on the administration’s Midtown East rezoning plan, which is a similar policy initiative. In November, the City Planning Commission voted to raise the cost of air rights transfers in the Theater District, allowing the city to take a 20 percent cut of any sales and establishing a minimum floor price of $346, a roughly 400 percent increase over the current $17.60 flat fee that they feel will be more in line with current property values. Despite vocal opposition from the Real Estate Board of New York, who back Theater District landlords and believe the increase is “is onerous, excessive and unfair,” this month the Commission is hoping to have the proposal approved by the City Council, reports Crain’s. At the end of August, the city released its long-awaited, very controversial Midtown East Rezoning plan. In addition to allowing 16 new towers to spring up in the area bound by Madison and Third Avenues and 39th and 50th Streets, the upzoning will “permit owners of landmarked buildings to sell their air rights across the district, rather than just to adjacent properties like the current law dictates,” as 6sqft previously explained. The following month, the city embarked on a study of these unused development rights, which would amount to an additional 3.6 million square feet over the next 20 years. And part of their conclusion is that they’re considering taking a 20 percent cut of these air rights sales, reports Politico. 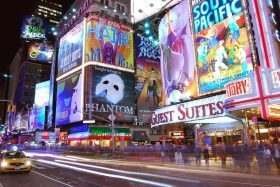 The City Planning Commission has voted to up the cost of air rights transfers in the special Midtown Manhattan district that includes Broadway’s theaters, The Real Deal reports. Currently, when developers purchase air rights from theaters between West 40th and West 57th Streets from Sixth to Eighth Avenues, they pay $17.60 per square foot to the Theater Subdistrict Fund. Transferable development rights can usually only be used for adjacent properties, but the city created the special district in 1998 to help the theater industry thrive amid sharply rising real estate prices; within the district, air rights can be moved more freely in a larger area outside the usual “arms length” restrictions. What does this mean for Broadway theaters? 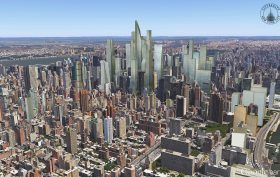 Last week, the city released their long-awaited Midtown East Rezoning plan, a controversial upzoning of the area bound by Madison and Third Avenues and 39th and 50th Streets that would encourage taller, more modern office towers to attract commercial tenants. One of the debated points is the proposal to permit owners of landmarked properties to sell their air rights across the district, whereas now they can only be transferred to sites directly adjacent or above the existing structure. The city has now embarked on an appraisal of these unused development rights, which amount to 3.6 million square feet and will likely be distributed to the 16 new towers that the rezoning would yield over the next 20 years.